The need for more knowledge intensifies the complexity of product development. To understand how knowledge contributes to designing products and how learning improves the product development process, this paper introduces an agent-based model that represents product development as the learning and application of knowledge. Product development consists of a complex network of interdependent agents, such as product functions, design activities and designers. Knowledge is the link connecting these elements, since product functions are the embodiment of knowledge, since design activities require knowledge, and since designers provide knowledge. The simulation of model activities and agent interactions at the micro-level generated project performance, which was measured in terms of project effort and duration at the macro level. The model used product and development process data from GE Hydro. 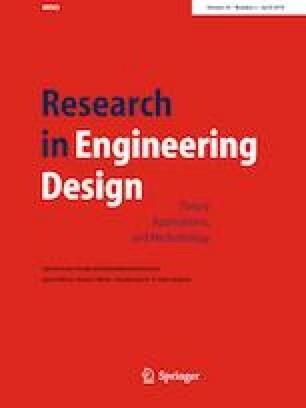 Results demonstrated that design effort and project duration increased exponentially with product knowledge (complexity), that product development was more sensitive to the design of interfaces as compared to the design of components, and that designer knowledge played an important role in mitigating complexity. The implications for managers were that attention should be paid to the management of interfaces, to coordination thorough communication and consultation, and to increasing the rate of designer learning.